July 2016. Appreciation from MTR & Crossrail of our Safety and Technical Trainer, Robin Ogilvie. "I just wanted to share some positive feedback on the 315 course. I think we all found it very beneficial. Robin was great and was flexible around what we wanted to cover. The information passed to us seems comprehensive and will be useful. There was a great balance of classroom and on-train work. Please pass on the feedback to his manager"
Stokes Associates undertakes Fire Risk Assessment and production of mandatory drawings for Bombardier. Oct 2015. Stokes Associates undertakes initial discussions and development of Class 90 Locomotive and LHCS training materials for Abellio Greater Anglia. Sept 2015. Stokes Associates are pleased to demonstrate the SmartShoe.tm Brake Force Testing technology at Rail 2015. Aug 2015. 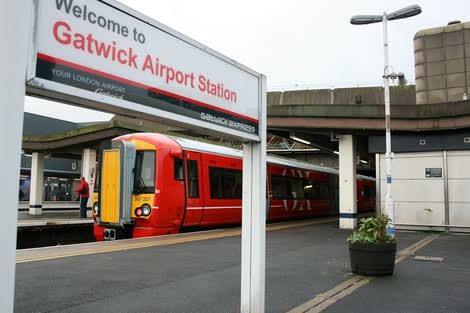 Stokes Associates provides Contractor Controller Support for Abellio Greater Anglia. Stokes Associates are delighted to be awarded the contract to provide Managerial Support at the Bletchley TMD for the CL387 (Phase 2) commissions and trials. Jun 2015. Stokes Associates are pleased to undertake LHS Passenger Door Training for Chiltern Railways. Stokes Associates are pleased to undertake Yard Controller Competence Assessments at the Abellio Greater Anglia Ilford Train Maintenance Depot. May 2015. Stokes Associates undertake mandatory risk assessments and surveys at Train Maintenance Depots and produce compliant fire plan drawings for incorporation into their Safety Management Systems. Stokes Associates deliver A1 Assessor Workshop for Dorlec. Stokes Associates undertake refresher first aid at work training and certification at the Abellio Greater Anglia Ilford Train Maintenance Depot (TMD). Apr 2015. Stokes Associates delivers mandatory fire refresher and warden training at the Abellio Greater Anglia Clacton Train Maintenance Depot. Stokes Associates produces and present Cyclist Safety Awareness training, when at road junctions and in the vicinity of Heavy Goods Vehicles for Crossrails C828 Ilford yard stabling project during their safety "stepping up" week. Mar 2015. Stokes Associates deliver mandatory fire refresher training accreditation for a large train operating company. Feb 2015. Stokes Associates review, amend and implement traffic management and logistics plans for Volker Fitzpatrick at the C828 Ilford yard stabling project. Stokes Associates provide contractor controller management for Abellio Greater Anglia at their EMU maintenance depot and stabling yard in llford Essex. Jan 2015. 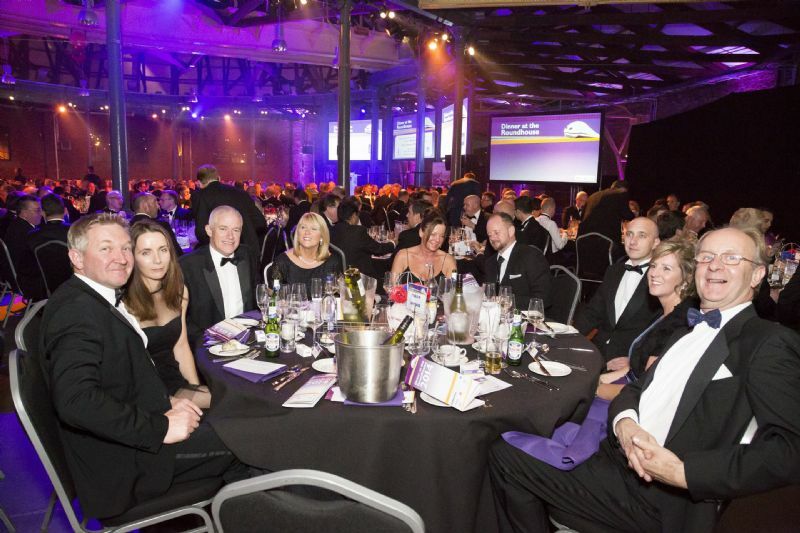 Stokes Associates is delighted to support the Crossrail / Volker Fitzpatrick Front Line Development programme. MD Gary Stokes is appointed as the Mentor for Supervisors and Engineers undertaking the programme to help with their personal development. Stokes Associates undertake writing feasibility reports for Vossloh Kiepe re-tractioning projects. Stokes Associates is delighted to continue supporting Bombardier with the testing and commissioning and trials of the new CL 387 Electrostar Fleet. Stokes Associates Rail Industry Consultancy are delighted to assist Network Rail on the Midland Mainline Electrification Project. We have undertaken a detailed study of the route and provided information highlighting the implications of the electrification of the Midland Mainline for Traction and Rolling Stock maintenance locations. Stokes Associates are looking forward to working with Interfleet and Network Rail on what is a significant investment in our industry that will deliver benefit for both rail users and communities on the route. Stokes Associates Rail Industry Consultancy are awarded the contract by Bombardier Transportation to produce a suite of Safety Management System (SMS) procedures for Bletchley Depot. 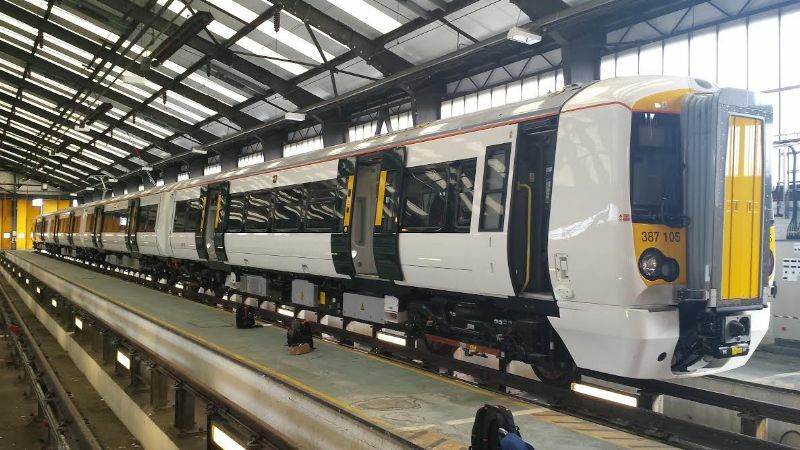 We will be working in partnership with Bombardier Transportation providing management expertise at the depot during Class 387 “Electrostar” Electric Multiple Units commissioning and mileage accumulation trials. Stokes Associates Rail Industry Consultancy are pleased to work with Crossrail, VolkerFitzpatrick and London Borough of Redbridge to make London roads safer for vulnerable users particularly cyclists. We will be hosting an Exchanging Places Event on June 22nd at the Redbridge Cycling Centre in conjunction with the Metropolitan Police. Cyclists will be afforded free bike checks by professional mechanics and see the road from the driving seat of an HGV Lorry. The aim is to raise awareness of the dangers of cycling alongside HGV vehicles, particularly at road junctions. Stokes Associates Rail Industry Consultancy are delighted to be awarded the contract to undertake Supplier Audits on behalf of Abellio Greater Anglia throughout 2014. Stokes Associates Rail Industry Consultancy are delighted to be awarded the contract to assist Abellio Greater Anglia with their 2014 planned Fleet Engineering Internal Audit Programme. Our Senior Consultant will be undertaking a range of audits at their maintenance depots at Ilford, Clacton-on-Sea and Norwich (Crown Point). Stokes Associates Rail Industry Consultancy are pleased to provide Personal Track Safety (PTS) training and certification for Clean (EA) Team. 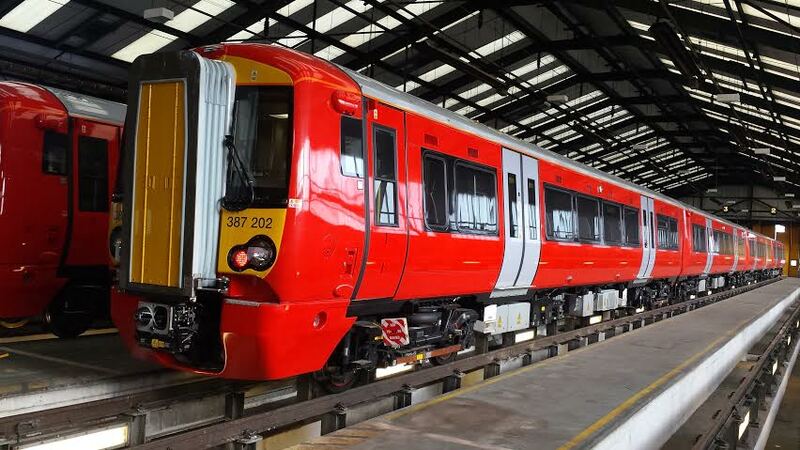 Stokes Associates Rail Industry Consultancy are delighted to be awarded a long term contract for the delivery of Class 153, 156 and 170 Diesel Multiple Unit (DMU) training for the Abellio Greater Anglia artisans at their Norwich Crown Point maintenance depot. Stokes Associates Rail Industry Consultancy are pleased to deliver the 6317 Assessor Award for a number of clients seeking to develop their employees and Competence Management Systems (CMS). Stokes Associates Rail Industry Consultancy are pleased to deliver R188 Railcar training modules for New York City Transit. This follows extensive research and production of the training material in conjunction with the manufacturer Kawasaki. Our senior trainer will be flying into New York to delivery the artisan training throughout 2014 and 2015. 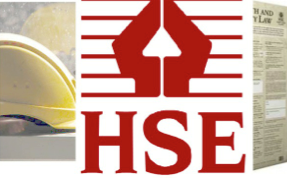 Stokes Associates Rail Industry Consultancy are delighted to undertake HSEQ health checks for Gordon Services (UK) Ltd. We are working closely with Gordon Services to ensure they not only retain their certification but to advance their systems in-line with industry best practice. Stokes Associates Rail Industry Consultancy are awarded the contract to provide expertise to assist MTR Corporation in their ScotRail franchise bid. Our Senior Consultants will work closely with the MTR team to ensure a strong and commendable bid is produced. Stokes Associates are pleased to undertake a series of management and supervisor Competence Management System (CMS) assessments for Abellio Greater Anglia at their Ilford Train Maintenance Depot. Stokes Associates are pleased to be awarded a contract to undertake train maintenance Supplier Audits on behalf of the Greater Anglia Safety Systems Manager. The audits will include all train maintenance activities undertaken by Siemens and Bombardier Transportation at Greater Anglia Ilford Depot, including UAT, tyre turning and warranty work. Stokes Associates are proud to sponsor two musicians at South Bromsgrove High School (SBHS). In 2014, Leah and Adele Norton will be in Poland with the SBHS orchestra. A series of concerts will take place showcasing their talent with their friends. On behalf of all at Stokes Associates, we wish them every success and an enjoyable time. The experience will help develop their talents with memories that will remain with them both for many years to come. Stokes Associates are contracted by Greater Anglia to undertake a comprehensive review of Class 153 and 156 vehicle maintenance records. The objective is to ensure compliance with the Vehicle Maintenance Instructions. Following the review, Stokes Associates will produce a detailed report and present the findings to the senior team at the Greater Anglia Norwich Crown Point Depot. Stokes Associates are delighted to provide Fire Responsible Persons training and certification for Abellio at their depots in Ilford and Clacton. Stokes Associates are proud to work with Transport for London on the Crossrail C828 Ilford Yard Stabling Project. We will ensure work being undertaken at the depot and in the operational yard is carried out safely and in full compliance with the Greater Anglia Safety Management System requirements. Stokes Associates are accepted to be an Approved Supplier and work in partnership with the Frankham Consultancy Group. We are delighted to provide expert advice on the production of Work Package Plans and Safe Systems of Work for a series of maintenance depot surveys in a live operational environment. Stokes Associates is pleased to have worked in partnership with VolkerFitzpatrick in their successful bid for the Crossrail £45m Ilford yard stabling project. We would like to extend our congratulations to all that worked on the bid team and those that supported the team with their expertise. VolkerFitzpatrick has been awarded the contract for providing detailed design, enabling works, manufacturing, supply, construction, installation, testing, commissioning and hand over of new railway depot facilities at the Ilford Yard Stabling facility in East London. Stokes Associates will continue to provide expertise throughout the construction of the new facilities providing Interface Management for all stakeholders. Our principal responsibility will be to maintain the depot functionality during the construction works and to ensure all stakeholders are fully informed of the project Work Package Plans/progress. We are pleased to undertake a series of maintenance competence assessments for Harry Needle Railroad Company. Stokes Associates are pleased to be awarded the contract by London North Western Railway (LNWR) to review the new EU legislation relating to the driving of trains by artisans within depot limits. We will then provide expertise to help implement any changes required to comply with the legislation. Stokes Associates are pleased to be awarded the contract to assist MTR Corporation in their bid for the future Thameslink services. The contract includes a detailed review of all maintenance depots and stabling locations on the Thameslink route to enable a cost effective and comprehensive stabling plan to be developed for the fleet. In addition, Stokes Associates are working closely with the MTR Corporation bid team in the development of their fleet cleaning strategy. The strategy will be designed to ensure the customers have a service that is visibly maintained to the highest of standards and exceeds their expectations. Stokes Associates are delighted to support Napp Pharmaceuticals in their development of their maintenance personnel in the delivery of City & Guilds Level 3 6317 Assessment and Quality Assurance training. In April 2013 we had the pleasure to submit the candidate portfolios to C&G for External Verification (EV) and present the Awards in May 2013. We are delighted to assist London and North Western Railway with a review and implementation of occupational competence assessments at their Tyne Yard, Eastleigh and Coldhams Lane depots. New Competence Managements System (CMS) Standards have been produced using the latest occupational NVQ standards for both operations and maintenance teams. Stokes Associates is pleased to work with AAE (Switzerland) and arrange the movement of Megafret wagons here in the UK. This included engaging the services of BAR, arranging the path with Network Rail and undertaking a Fitness to Run examination prior to the move taking place. Greater Anglia award Stokes Associates the contract to undertake occupational competence assessments at the Ilford Maintenance Depot. Stokes Associates is delighted to produce a comprehensive fire refresher course for Greater Anglia. The courses were delivered at their maintenance depots at Ilford and Clacton. The Fleet Production Manager advised “the training was expertly delivered, exactly what was needed and gave an excellent understanding of fire safety in a rail environment”. Stokes Associates are successful in their bid to produce a series of Electrical Multiple Unit (EMU) fault finding guides for Abellio. To help with their introduction and use by the artisans, Stokes Associates will deliver a series of training events in 2013. Stokes Associates are delighted to support the Harry Needle Railway Company and deliver City & Guilds Level 3 6317 Assessment and Quality Assurance training. In January 2013 we submitted the candidate portfolios to C&G for External Verification (EV) and were pleased to present the Award in February 2013. Stokes Associates are delighted to continue supporting Gordon Service (UK) Ltd in the continual development of their HSQE systems and standards. Stokes Associates are engaged by Knorr Bremse to provide guidance and support in the implementation of new working practices that ensure compliance with the Electricity at Work Regulations 1989. Stokes Associates are pleased to produce course material and deliver a series of Effective Communication training events for safety critical staff at the Greater Anglia Ilford train maintenance depot. Stokes Associates are delighted to work with Pennant Information Services in the development and delivery of training material for the new R188 Kawasaki Railcars that will operate on the New York City Transit (NYCT) System. The training of the NYCT artisans will be delivered from March 2013 and continue until all staff have been trained in 2015. 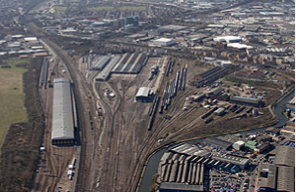 Stokes Associates are delighted to assist Bombardier Transportation (UK) Ltd in tier bid to build new trains and the maintenance depot at Old Oak Common for RfL and Crossrail. Stokes Associates are delighted to produce a series of comprehensive, but simple to read Authorised Walking Route and Designated Pathway drawings for the depots and stabling locations across the Greater Anglia (Abellio) operation. Stokes Associates are pleased to work with National Express East Anglia and develop their Safety Management System (SMS). The scope of work included a review of SMS Standards and where identified recommend amendments to further advance what is a very comprehensive series of Standards. Stokes Associates are pleased to complete a series of Yard Controller and Assistant competence assessments at the Ilford Train Maintenance Depot. Stokes Associates are delighted to undertake a series of Mark 3 Loco Hauled Coaching Stock External Slam (Passenger) Door training events and competence assessments on behalf of Chiltern Railways at their Wembley Maintenance Depot. Stokes Associates are delighted to assist Network Rail on the Midland Mainline Electrification Project. We have undertaken a detailed study of the route and provided information highlighting the implications of the electrification of the Midland Mainline for Traction and Rolling Stock maintenance locations. Stokes Associates are looking forward to working with Interfleet and Network Rail on what is a significant investment in our industry that will deliver benefit for both rail users and communities on the route. From myself personally and the team we wish you every success!